Hi, I’m Paul Coleman. I’m the Chief Games Designer on Dirt Rally and I’m also a rally co driver when I’m not making games. Dirt Rally is a labor of love for me and the development team — and our passionate community has been very vocal in their requests for us to bring the game to PS4. So I’m incredibly excited that we’re bringing Dirt Rally to PS4 in April, and you can all start setting those leaderboard-topping stage times. 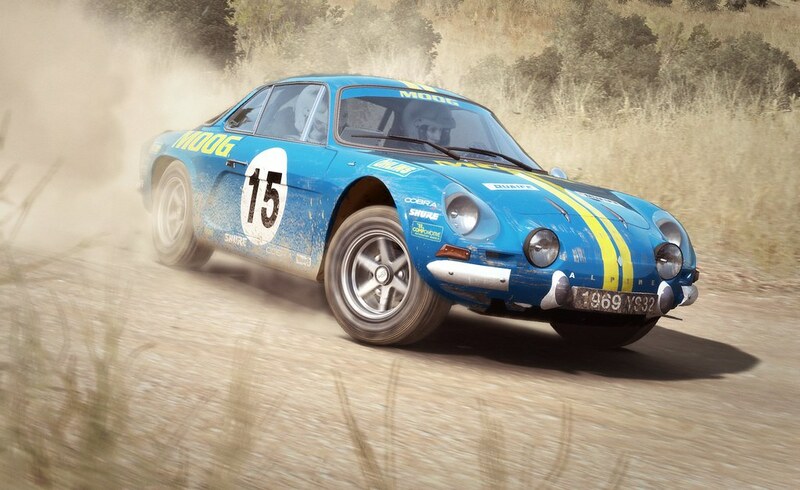 For starters, let’s cover 10 things you probably didn’t know about Dirt Rally. We record the co driver calls live in a D-Box motion seat while the stage is being driven. This maximizes the sense of speed and impact in the co driver’s voice. We even use a Stilo crash helmet and intercom system to make sure that the recording sounds as authentic as possible. Our level design team have had their fair share of adventures while away on their research trips. They’ve trodden on tarantula nests, been bitten by hornets, and have even been chased by angry Finnish farmers brandishing pitch forks. Our vehicle artists go into so much detail when they are modelling the vehicle interiors that they even capture the hand and finger prints that are left there by the vehicle owners. The WWGFD? Trophy is actually a reference to one of our Community Members called Greg Flinchbaugh. When we were in the early stages of developing Dirt Rally, Greg posted an awesome response when we asked “What do you like best about rally?” From that point onwards we always asked ourselves — What would Greg Flinchbaugh do? Watch out for local wildlife crossing the road on some stages. You can see a fox in Wales, a squirrel in Finland, and a moose in Sweden. Neil Cole who does the voiceover for the Rallycross spotter is actually one of the presenters of the FIA World Rallycross broadcast. He spends most of the race weekend in the spotters tower doing post race interviews. 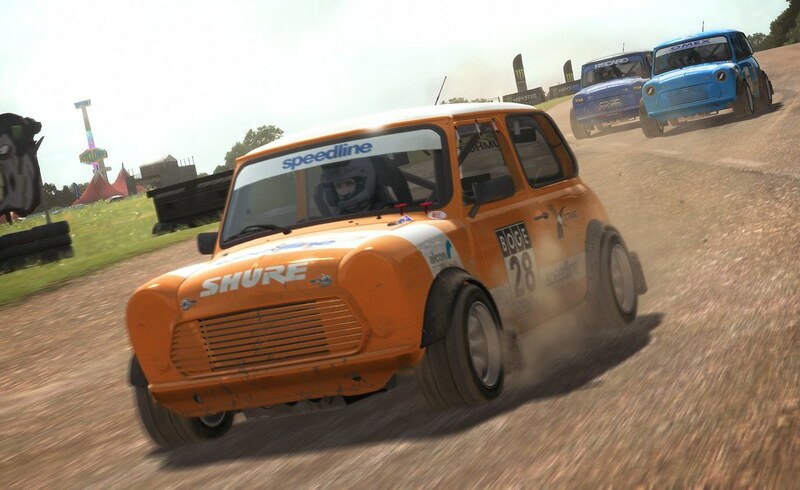 The driver model in the game is actually Jon Tucker who worked with us as our vehicle handling consultant during the development of Dirt Rally. The co driver model is based on me because I also voice the co driver calls in game. One of the working titles for Dirt Rally was Dirt Pulse. If you look closely you’ll find a queue for one of the toilets in the Sweet Lamb Fan Zone in Wales. We do love queuing in Britain. I AM SO FREAKING IN! My only recent interactions with Rally is I only have one viable game, and that’s GTA V; which should either make you sad, or happy. Low bar in comparison to Sega Rally, or for that matter, Rally Cross. Let’s not forget Gran Turismo 2. If it’s good I’m buying! I invite you to check out rally sport 2 for Xbox (original). 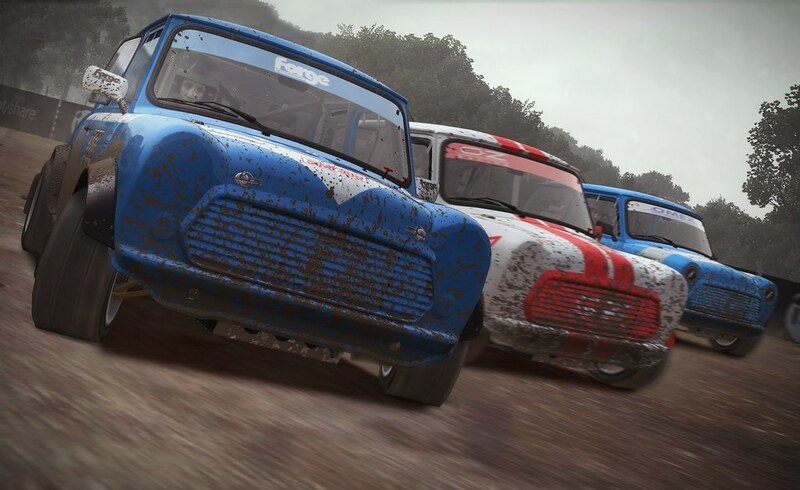 I’m a big fan of the Dirt series… and I’ve played both Dirt 2 and Dirt 3 on the PS3. We are using an evolution of the Ego engine that has its heritage in the DiRT and Grid series. I think there is a decent improvement in how things look but we have really focused on hitting 60fps to ensure the game plays as smoothly as possible. As a result it’s perhaps not as big a leap forwards visually as you may be expecting. Paul… You mentioned hitting the target of 60fps to ensure smooth gameplay. Any idea what graphics setting the Ps4 version will match up against the pc version? Low…Medium…High or Ultra. Glad that it’s coming out on other platforms. Will the PS4 version get a special treatment though? Will we at least be able to use our Logitch Driving Force GT wheels for a change? Soooo glad I can get some kind of a sim game on the PS4. I consider Drive Club to be an Arcade Sim because of the tracks and the AI. I truly hope this would be an incredible experience because 1) Seems like a proper simulation game, 2) My first ever rally game in a looooooong time, and 3) My first ever DiRT Game. So, get in! Also, will this be available as a physical disc on release, or is it just on store online? Anyone? It will be available both as a physical disc and digitally. Looks good. What wheels are supported by the PS4 version? From personal experience I can confirm that the Logitech G29 and Thrustmaster T300RS & T500RS are supported but I know that we have a much bigger list than that. Keep an eye out for a more detailed list in the near future. Please ask Sony and Logitech to get their act together and support older wheels as well. Why would anyone buy Logitech G29 when it will be unsupported in a couple of years like they did with G27. I would also be very interested to know about wheel support. I have a Fanatec Gt2 with csr elite pedals and would be a buyer if they were supported on ps4 like it is with Project cars. If not I’m going to have to wait to build a new pc to be able to run it equivalent or better than the ps4 can. Please support this wheel, I know it can be done as ‘Slightly mad Studios’ is half the developer you guys are at Codemasters.. Please don’t let me down, I love rally! What month is this? February, right? Bought this on steam early access. ‘Twas really cool to watch the game grow to where it is now. The physics of car handling is fairly realistic. I would definitely recommend it on PC if you’ve got a good video card. Yay! Bought this on steam a week or so after it’s Early Access and seeing the game’s growth and progression was amazing! Great game guys! Only downside is the graphics got a little heftier so I can no longer run it with 60 FPS on my preferred settings. The game is phenomenal though so I have no qualms in purchasing it again on PS4 to support you guys! Just one question, do you know what FPS the game will be running on PS4? No offense to you, but it would have been nice to be given a choice of co-driver like in Dirt 3. I thought that was a nice touch. We’ve made the co driver calls much more detailed than we ever have before and as a result the amount of calls more than doubled compared to previous projects. When you factor in the different languages that we also support it meant that having multiple choices was not really an option. It is something that a lot of people have asked for though so its something we will aim to improve upon in the future. Hey Paul. Will we get a demo? Hi, there are currently no plans for a demo. Wow… if this is for real I should quit my job as a game designer! Love this series, can’t wait to play this on my PS4! Already pre-ordered my copy. Just got the T300 racing wheel for PS4 as well. I’m super excited to play your game! So so happy that we’re getting this on the PS4. I was going to go for WRC 5 for my rally racing fix but will definitely be holding out for this. Anyone actually knows what was the awesome answer Greg gave about what he loved the most about rally? I’ve been playing this since Early Access on Steam on a pad, and just recently I got a G29 for my beloved PS4.. Can’t wait to be able to record some share moments and sent over a bunch of friends who are totally unaware of this project on consoles. I really appreciate this game taking over the crowd left by RBR. Really great game and can’t wait to play it like crazy on my big screen. PC is great and all, but consoles are much nicer to play and easier to set up.